With only two games left in the 2017 NFL London series of games, we only have four teams left to see in London. These games will be played at the home of English rugby union, Twickenham Stadium. Time for me to have a quick look at what I saw from these four teams in week 5 of the 2017 NFL regular season. You know what? The sooner the Cardinals @ Rams game at Twickenham gets here and gets done, the better in my opinion. No offence to anyone, but the sooner I don’t feel like I have to sit and watch a Cardinals game the better! Even via the ‘Game in 40’ on GamePass (when it works) is getting to be too much for me as a neutral to that team. It feels to me like that offence is literally going nowhere. Fair play to them as they’ve won two games but how can a team keep going with such a non-existent running game? This week, Chris Johnson ran 9 times for 21-yards meaning a 2.3-yard average whilst Kerwynn Williams and Andre Ellington ran for a combined 4 times for minus 4-yards! Maybe they need to put a wide receiver in the backfield as J.J. Nelson ran once for 14-yards 😉 They only ran 14 times all game (compared to 44 passes) so they’re not even really trying anymore. Please hurry and get here October 22nd so I don’t feel like I have to watch any more of this. RB Andre Ellington did contribute well in the running game, though as he caught 9 of his 10 targets for 65-yards and a 13-yard average, which is good. Perhaps this is what they need to do in order for them to get a few more victories this season. That’s all I can see them getting and I’m not at all sure one of them will come at Twickenham against the LA Rams. Carson Palmer and his receivers are doing all they can to get yards and points but with such a one-dimensional offence their job really isn’t an easy one this season. I do think that their run defence has looked decent this season whereas their pass defence hasn’t, but on Sunday the Eagles made both look bad as they picked them apart to the tune of 34 points. With the Rams offence looking good both on the ground and through the air this season, things don’t look good for the Cardinals on their trip to the UK., but, hey, this is the NFL and none of us can predict what’s going to happen, no matter who you are or what your history with the game is. In this one, I was more interested in and getting more enjoyment from watching the Chicago Bears rather than the Minnesota Vikings. I was intrigued by how Mitchell Trubiski would do for a start and was entertained by their trick plays as well as their general play. I really liked Trubiski’s first throw for its accuracy, power and positioning into a tight spot away from the defender and into the receivers chest. He went on to have a really good game even though he threw the interception that would lead to the Vikings’ game-winning field goal – I think he’s going to be good for the Bears. I didn’t think the Vikings looked very good with Sam Bradford back in at QB after his time off due to a knee injury and I think they missed Dalvin Cook massively. Their offence just didn’t move the ball as well without him in the backfield – he’s going to be a big loss for them for the rest of the season. It was up to Latavius Murray and Jerick McKinnon to take up the reins at the running back position and one definitely did better than the other. Murray has never really impressed me on a consistent basis but McKinnon has looked good this season and should get the start in my opinion. He ran for 95-yards on on 16 carries in this game of which one was a 58-yard TD. Murray did ok on his 12 carries for 31-yards but he isn’t an explosive back by any means. The defence gave up too many penalties for my liking and they helped the Bears get a score in the 4th quarter because of them. They gave up a total of 69-yards on 9 penalties throughout the game. It was one of my favourite Vikings players, Harrison Smith who got the important interception on a Bears drive late in the 4th quarter that could have taken the Illinois-based team on to victory. The game could have gone either way and was fun to watch (especially with the two successful Bears trick plays) but I must admit that it’s this Vikings team that I hope comes to Twickenham and not the one that has been winning in previous weeks. The first game at Twickenham in 2017 has gone from being one of the ones I’ve been least looking forward to and to one of the ones that I think could be one of the more entertaining. The reason for that is the resurgent Rams under new head coach Sean McVay and defensive coordinator Wade Phillips. Even though the lost this one against division rivals, the Seattle Seahawks, I think they could have won it even though they didn’t set the place on fire as they have in the recent past. Goff completed less than half of his passes and Gurley only ran for 43-yards on 14 carries – not the kind of numbers from either that I’ve come to expect this season. Their big name wide receiver, Sammy Watkins, was targeted 4 times but failed to make a single catch, but what I like about this evolving team is that they have a decent depth of players who can step up and make plays when the big name(s) aren’t for one reason or another. In this one, it was TE Tyler Higbee, WR Robert Woods and rookie WR Cooper Kupp. It was Kupp, though, who could have grabbed the tieing TD pass from Goff at the end of the game but it wasn’t to be even though it was catchable. I’m a Kupp fan and I liked the way he wasn’t afraid to get stuck in and make the tackle on the two interceptions Goff threw. One was on the much larger Sheldon Richardson as well. Sean McVay seems to be finding ways to get Tavon Austin productive but he could do with fumbling less if he’s to be trusted. He had two in this game. I’m looking forward to seeing this team at Twickenham this year and I think they will do far better this year than they did last against the New York Giants. They are a far better team with a far better coaching staff and player personnel. I love the arm-strength and play that Jared Goff is now displaying as he zips those bullet passes in quick and from distance. The fifth loss in a row takes the Cleveland Browns to 0-5 on the 2017 season. 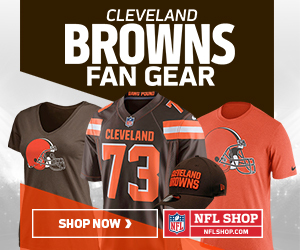 Despite what many are saying, I don’t believe this loss comes down to Hue Jackson completely as the offence turned the ball over twice when they were looking certain to score and rookie kicker Zane Gonzalez just played shite. One of the turnovers came when DeShone Kizer tossed the ball wide to Isaiah Crowell who didn’t catch it leading to the Jets falling on it and gaining possession. Many people jumped straight onto social media calling for Jackson’s head for calling the play in the first place but Kizer later revealed that he changed the play and called the toss play as he had the perfect look for it. Instead of taking the blame for a bad toss pass to Crowell, he pointed the finger at the running back saying that he didn’t catch it – not a good start to your career as a team leader young man. Kizer struggled yet again for the fifth week on the trot and I’m glad he was benched in favour of backup Kevin Hogan, who has looked by far the better QB of the two so far this season. I’ve mentioned this enough already this week in other posts, including this one. Positives to come out of this game come in the form of Myles Garrett, David Njoku and Duke Johnson Jr. I’ve written about these also in this post. Another positive that I didn’t mention in that post was the defence and the fact that they shut the Jets’ running game down. They could only manage a combined 34-yards on the ground. They did, however, get two TD’s through the air and their kicker can actually convert field goals and win games for them, unlike our rookie! Even though I don’t blame this loss at Hue Jackson’s door, I do find it baffling that he went for it on 4th and 2 when they were inside the Jets 5-yard line where, surely, even Zane Gonzalez could have converted the field goal to tie the game. He made a mess of it by calling a timeout as well after sending the field goal unit out initially – it all looked very unprofessional and incompetent to me. I mean, come on, you pay these guys a lot of money (even the kickers) and you decide to pull him from attempting a chip-shot? If he’d missed it, so what, hold him accountable, they’re well-paid professionals FFS! Not only was all that a complete farce, but Jackson then went on to call a power run inside when it’s obvious the offensive line has been struggling somewhat in that aspect of their game. Browns being Browns, I guess people will say. Even if the Vikings aren’t firing on all cylinders at Twickenham, I think the Browns will struggle against their defence.